As a Asian American(AA) , I have long observed a startling contrast between AAs and pretty much every other ethnic group in the U.S. We simply are not going to be found on the editorial pages of newspapers and magazines or standing in together in protest in a show of ethnic solidarity. It simply isn’t in our social and cultural DNA. We just don’t do that. We are generally are an accepting culture. We look at the status quo and figure out how to work within the system to improve our lot in life. We don’t agitate about the system; we accommodate and adapt to the system. This is probably why AAs have our enduring reputation as the “model minority” in America. We don’t cause social unrest. We work hard, study hard, strive for higher education, and aim for one of the golden professions (doctor, lawyer, engineer, or CPA). Even though we are only 4.7% of the population, about half of us are college educated. AA high school graduates have a 92.2% college enrollment rate. We have good careers as opposed to jobs. Over 49% of AAs are employed in management or other professional work. We have the highest median household income of any ethnic group exceeding Caucasians by more than $10,000. We scrimp and sacrifice to buy homes in high-performing school districts. We help boost the average test scores in local schools and by happenstance preserving and improving the local real estate values. We don’t complain or cause trouble in the communities we live in. We live quiet, uneventful lives. We are the minority that the mainstream never has to think about other than to complain about our kids ruining the academic curve and making college admissions too competitive. As a college student, I minored in AA studies at Cal Berkeley while doing my BS in Business Administration. For the majority of AA students at Cal, they were there to study hard and get into a top graduate school or get a good paying job to start their professional career. However, in the AA department, I found a small subset of the AA community, people who were passionate about social activism, reform, and justice within the AA community. They really wanted to see the AA community become a social and political force in America, and yet, I knew that it just simply wasn’t going to happen. Our endemic cultural values as an AA community simply doesn’t create an environment that would incubate groups like the NAACP or La Raza. Our communities simply don’t lend themselves to birthing people like Martin Luther King, Jr. or Cesar Chavez. Values rooted in Confucianism run counter to what is necessary to give rise to social and political activism. Values like the importance of the group (or family) over the individual, filial piety, humility, loyalty, self-effacement, harmony, and meritocracy. None of these values lends itself to changing the system; rather they work to preserve the system and social order. Frankly, most AAs are too busy hard at work on their careers and whatever time is left is divided between caring for aging parents and helping their children stay competitive in their pursuit of an Ivy League or equivalent admission with academic, athletic and enrichment activities. Until Lin-sanity media storm broke, I never realized that I had so little confidence in AAs as a social force despite the substantial economic spending power we represent. I admit that I even got drawn into the edges of Lin-sanity. 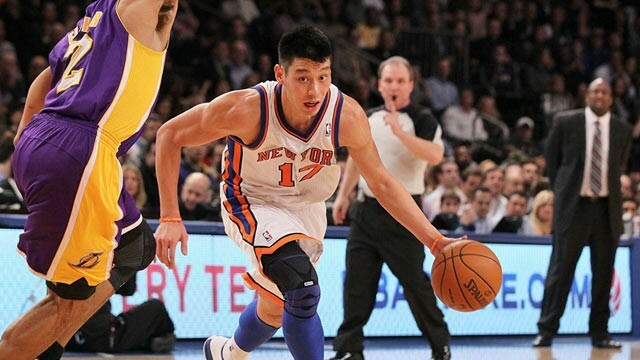 I still don’t watch basketball, but I am following the news cycle surrounding Jeremy Lin. I admire him, and his tenacity to continue to pursue his dream and passion despite numerous setbacks. As a AA (and a Tiger Mom), I admire that he got his Harvard degree (the pinnacle in AA Ivy aspirations) in economics (a practical degree). As an AA Christian, I admire his strong faith and how it influences how he is on and off the court. I love how he is breaking popular stereotypes and doing it with humility, style, and grace. With the aftermath of Jason Whitlock’s ill-considered tweet and ESPN’s offensive headline which led to disciplinary actions like suspension and firing, I marveled at how social media has unlocked the AA consciousness as a community. For the first time in my life, I saw my community mobilized and the issue of race relations with respect to AAs was on page 1, the editorial and sports pages, and even on Saturday Night Live. Like Lin-sanity, which I believe was fueled mostly due to social media sharing via Facebook and Twitter, the issue of race and the emasculation of AA males by media was being debated across the country. Social media has united AAs from our isolated pockets of community. Students, computer engineers, doctors, suburbanites, city dwellers, Midwesterners, first generation immigrants, 5th generation American born, etc. were swept up and talking about this issue, and more importantly, this discussion wasn’t happening just inside our community, our conversation was happening virtually and organically. All of a sudden, America was getting a front row seat to how our community thinks and what we really think about ethnic identity and race relations. America is waking up to the fact that just because we are the “model” minority and don’t generally protest and agitate, we are not, in fact, happy with the discrimination and racist attitudes that still continue to persist and hinder us. Yes, we are successful, in spite, of race quotas in education, media stereotypes, and the bamboo ceiling in corporate America. Social media is unique in our generation. It breaks through normal social grouping behaviors that we adopt as humans. It provides a platform to communicate across gender, age, class, socioeconomic status, race, geography, culture, political affiliations and personal interests. It is a forum that finally lends itself to the AA style of communication. It is conversational without being confrontational. It is indirect rather than direct. It allows a person to choose whether or not to directly engage in a conversation or just participate passively. It allows us to preserve of cultural value of saving face in our conversations by not publicly humiliating anyone or being disrespectful. There are no mobs, no sign holding, or protest marches. No angry raised voices in heated real world in person debate, just a virtual movement that strong enough and virtually loud to make a media giant like ESPN respond and for the debate to be brought to the mainstream media’s attention. A Chinese proverb says “Beware of the sleeping tiger.” Has social media wakened the sleeping tiger and unlocked the power of the AA community? Can social media give AAs a voice in society? Can the AA community leverage their newfound power? Time will tell. One thing is certain, professors of AA studies across America are furiously collecting media articles and amending their curriculum and readers to address what is happening. In the meantime, let’s enjoy the ride. Normally, I update this blog daily and sometimes multiple times a day. I can now freely share with you as to why L@WS has been so quiet lately. Our family is moving to San Diego away from our beloved Bay Area. God has opened up a really wonderful opportunity for P in the San Diego location of his company. Both P & I have never lived anywhere else, so this is a huge change for us. As a result, you can imagine trying to get our thirty-something selves and our son (and all the stuff that we have accumulated over 3 plus decades) is proving to be quite a feat. Undertaking this move and selling our house during peak holiday season is quite challenging. However, God provides, and we will survive. Posting may be sporadic for the next few weeks. Trying to come up with a blog name is like pulling teeth. I am NOT a creative person. I literally ooze practicality out of my pores. So why life @ warp speed? First, I am blogging about nearly everything that interests me in life. It is such an odd and random combination of topics that I was hard pressed to narrow it down to a particular theme. Warp speed is what it feels like the speed at which my life goes at these days. There is never enough hours in a day to do everything that I want to do. Warp speed is also nod to the fact that I am a Trekkie through and through. I loved watching TOS (the original series) while growing up. I became a fan in elementary school and am still a fan to this day. In fact, Spock was my favorite character on the show which probably explains a lot of things about me. Oddly enough, M & I can both do the Vulcan one eyebrow lift much to P’s chagrin. He thought that there is something not quite right about a 8 month old baby being able to do the eyebrow move. 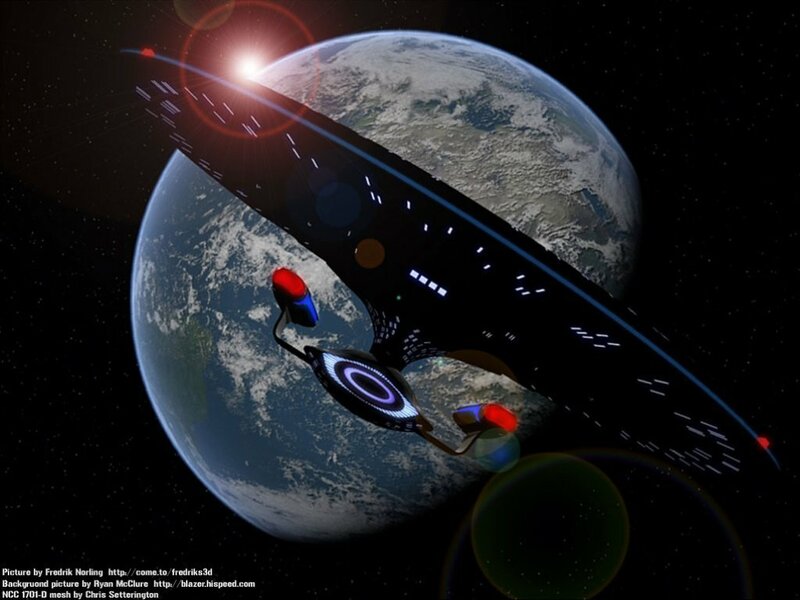 My absolute fav Star Trek series is TNG (The Next Generation) followed by TOS, Voyager, Enterprise and DS:9. (Show me any 3 sec clip from TNG, and I can tell you the plot summary for the eppie.) I am also a huge fan of sci-fi especially Stargate. The big glaring sci-fi exception is that I am NOT a Fangirl. Just don’t much care for George Lucas and the Star Wars franchise. However, that is an explanation best saved for another time. For those that know me IRL via FB, I will be posting a series of posts from FB to archive them for easy reference. Please excuse me if I appear some of the posts seem slightly familiar. I will be writing more comprehensive posts than is possible in a FB status update. For many different reasons, I have decided to start this blog…way, way after the heyday of blogging. So, pull up a iPad, laptop or whatever mobile device you have yourself chained to and come along this ride we call life. There are no particular themes to this blog except what catches my interest, and what I think might catch yours. I am that friend that you probably have in your life who likes to find great deals, tell you about the latest restaurant I tried, test recipes and products, share tips & tricks, finding great new apps for the iPad, and for good or bad has an opinion on just about anything and everything. The one thing I will steer clear of is any mention of politics. Not that I don’t have opinions or enjoy a vigorous debate, but I think it has a tendency to polarize. There is a separate time and place for those sorts of things in life. I will share about my faith, lessons that God is teaching me, things I am learning about or pique my interest, my adventures in homeschooling my almost 3 year old, parenting, and the juggling act I call life. Sometimes, things will be light hearted and funny and other times deep and reflective and probably everything in between. I look forward to see what sort of community develops here and what learnings that will come my way through you.